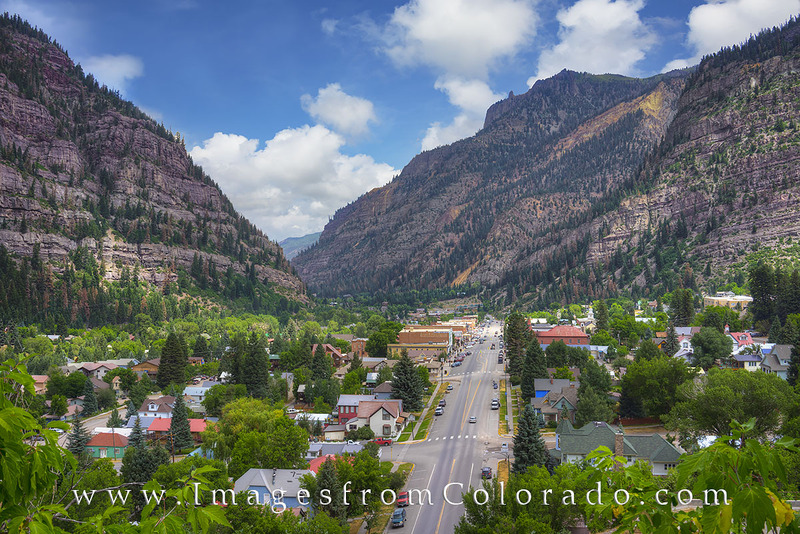 The little picturesque town of Ouray, Colorado, bills itself as “Little Switzerland.” It is a quant resort town that offers hiking and biking and beautiful views of the San Juans. Seen here in summer time, this is the main street. South leads to Silverton and Durange. North leads to Ridgway. Photo © copyright by Rob Greebon.